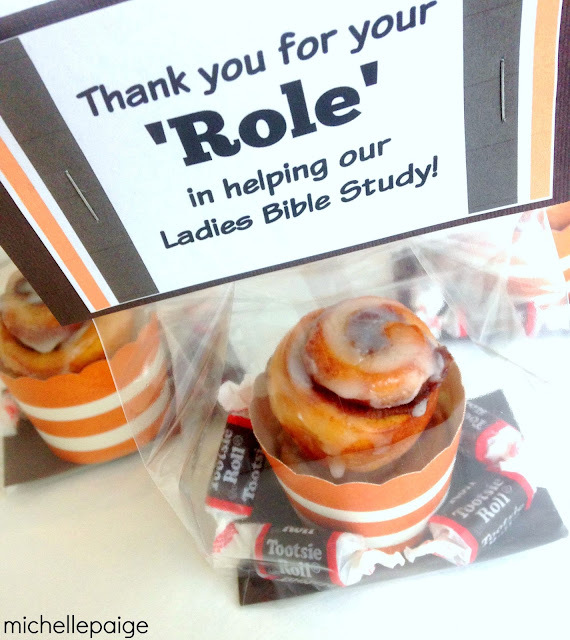 These little treats were made for the women that help me run our Ladies Bible Study. 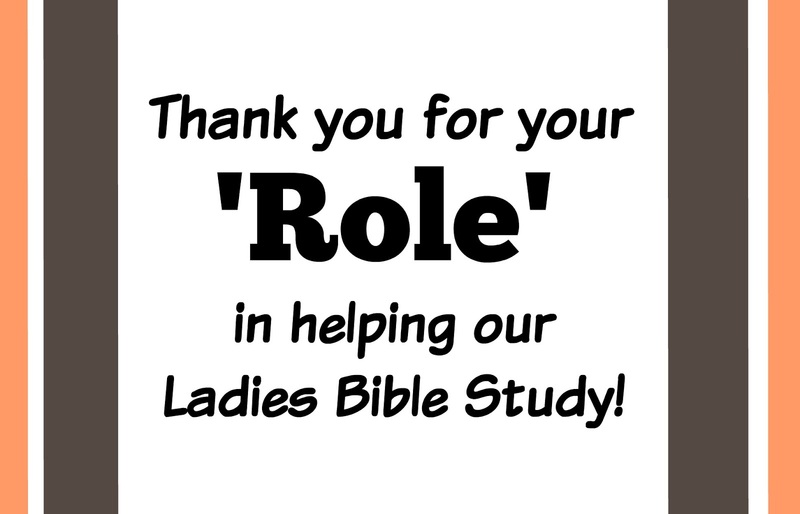 If you've ever been involved in church ministry, you know that it's so important to thank the volunteers. The whole program wouldn't even exist without them! 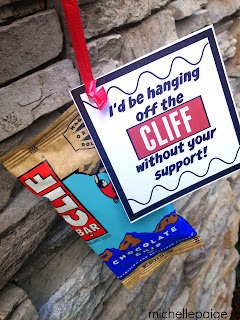 Their help is invaluable and I love to spoil them with my many pun gifts. 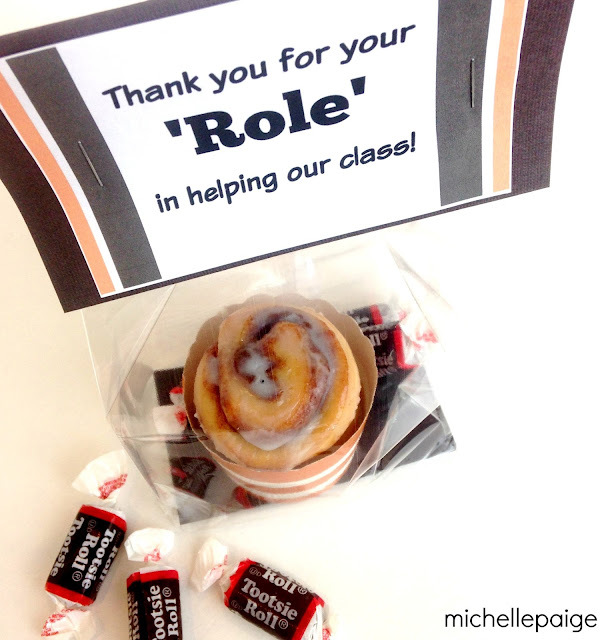 If I had all the time in the world, I would have MADE them cinnamon rolls (they so deserve it! 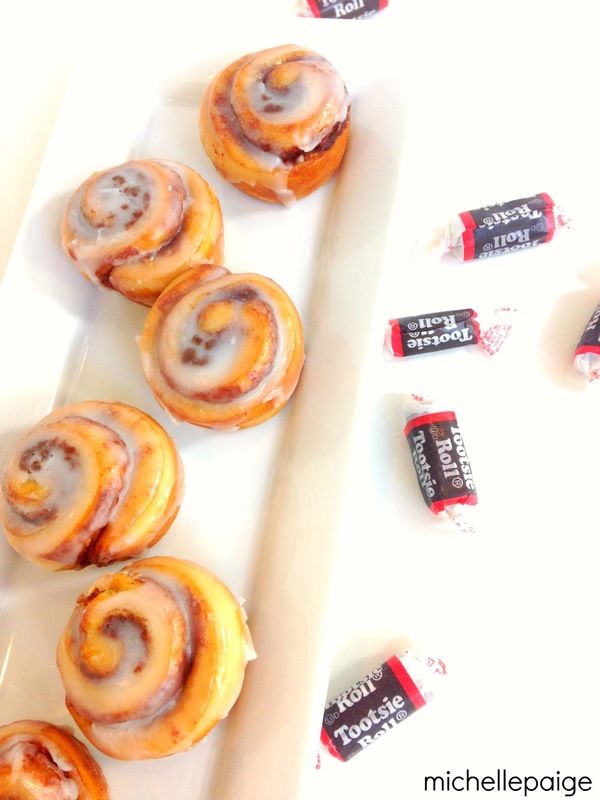 ), but I'm always short on time, so I just ran to the store and brought home these 'very addicting' mini cinnamon rolls and Tootsie Rolls candies. These candy cups/cupcake liners are from Pick Your Plum, but are not available at this time. 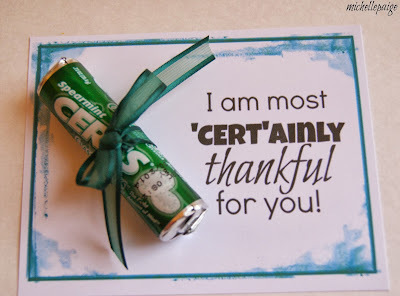 I found these party candy cups online that are very similar. Two mini cinnamon rolls fit perfectly. My cellophane treat bags didn't stand up on their own, so I taped down a piece of brown card stock inside the bottom of the bags. 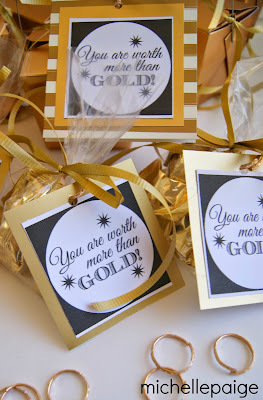 To make the labels, print out the tags of your choice. 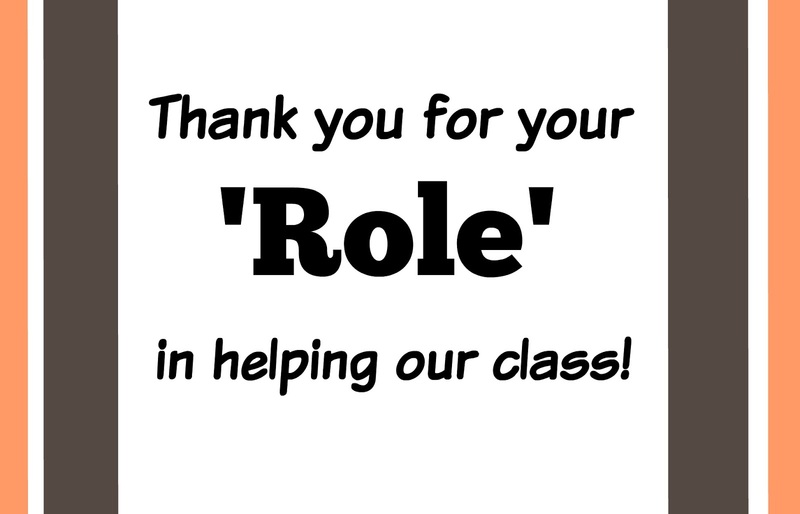 Click here to print 'Role' in our class. 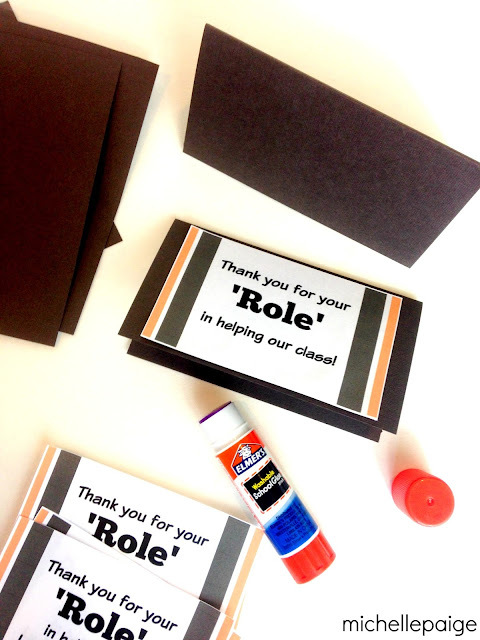 Click here to print 'Role' blank...and write in your own saying. Using brown card stock, cut rectangles into 5" x 4". (This size fit my bags perfectly.) Fold in half, pressing the seam with a bone folder. Adhere the printed tags onto the card stock using a glue stick. 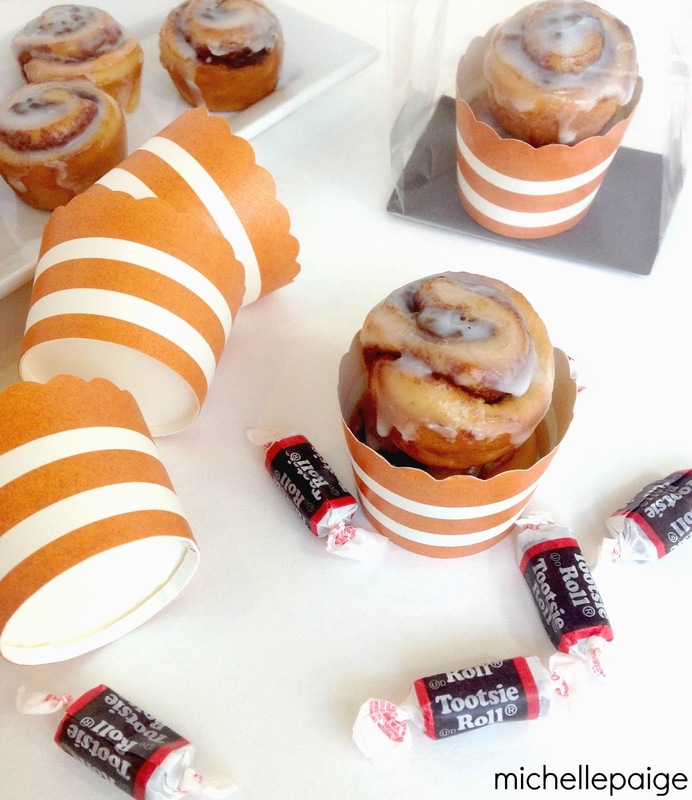 Fill bag with cinnamon roll cup and a few candies. 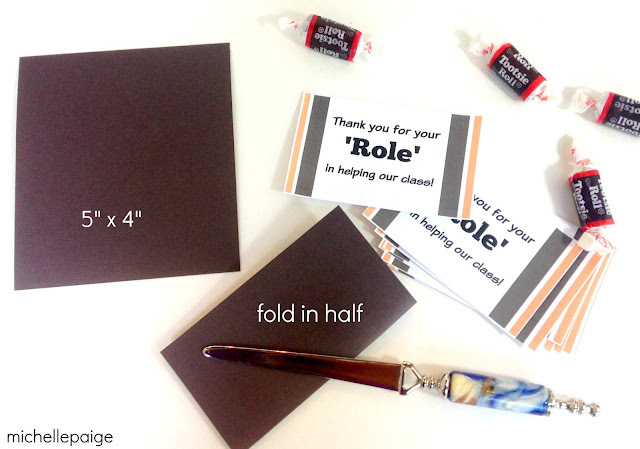 Insert top of bag inside the card stock label and staple each side. Write a note on the back and hand deliver. 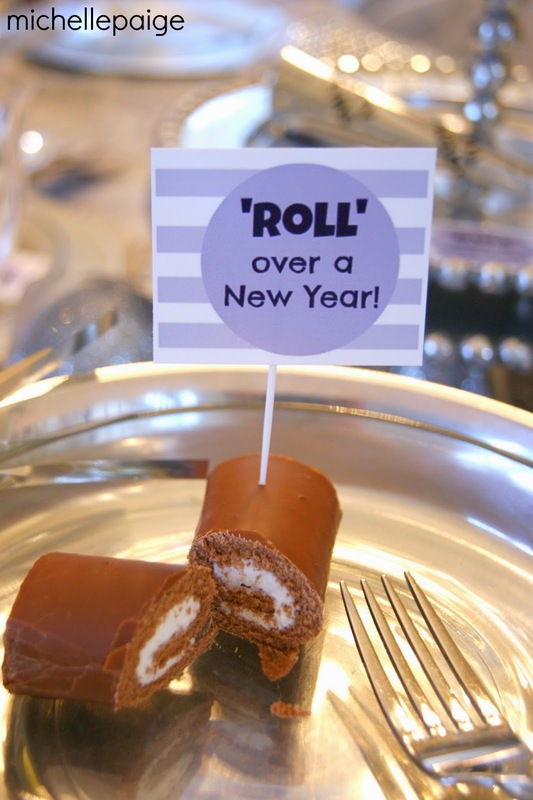 This isn't the first time I've used the 'roll' pun. 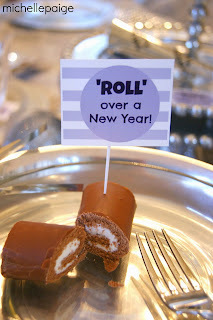 Remember this 'Rollin' in the New Year Party? 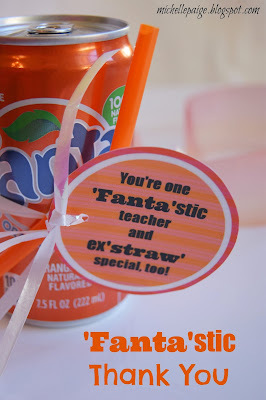 Need some more appreciation ideas?